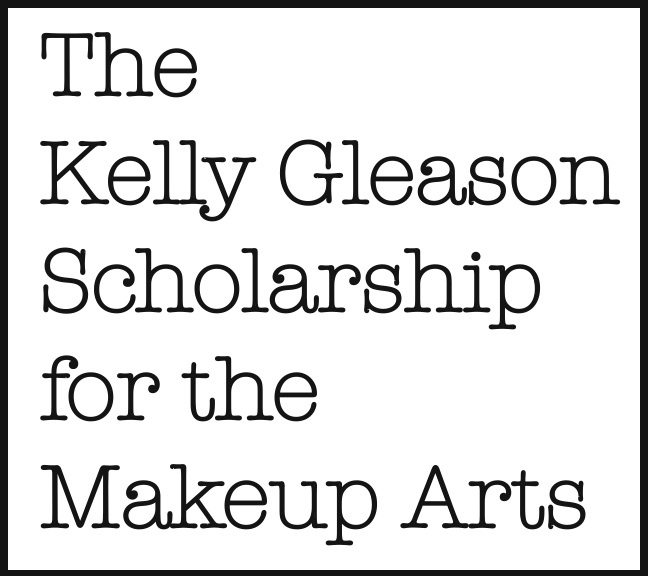 The Powder Group and Make-Up Designory are pleased to announce their co-sponsorship of The Kelly Gleason Scholarship for the Makeup Arts 2010. The scholarship is an annual award presented by The Powder Group, and Make-Up Designory is proud to be the first partner of this very special program. The scholarship has been introduced to identify those who are dedicated and motivated to enhance their professional skills and become the next generation of professional makeup artists. 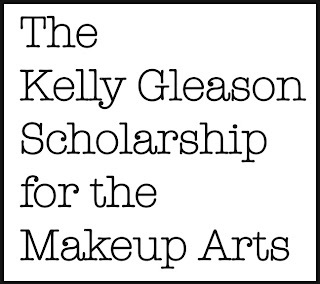 The Kelly Gleason Scholarship for the Makeup Arts in its partnership with Make-Up Designory will consist of a $10,000 award to be applied toward any Make-Up Designory program at their New York or Burbank campus, and will be awarded to one person who is looking to further their education in the area of makeup artistry. The winner will be announced in the Fall issue of On Makeup Magazine and through the online and social networking resources of The Powder Group and Make-Up Designory. To Enter: Entrance is open to anyone over the age of 18 with a high school completion or its equivalence. Entries will be reviewed by a panel of industry experts and members of the Make-Up Designory and The Powder Group executive teams. Entries must be received no later than July 1, 2010, and may be received by email to register@thepowdergroup.com with the subject heading "Kelly Gleason Scholarship" or by regular mail to The Powder Group 315 Seventh Avenue 6B New York, NY 10001. The entry must include a letter of introduction, all pertinent contact information including email, phone number, street address and social networking site details. Entries will also include a statement, limited to 500 words, of why the applicant wishes to receive the scholarship. Entrants will be judged solely on their written expression and no previous artistry experience will be required to receive the award. Legal: Entry into the competition will require meeting the enrollment pre-requisites for Make-Up Designory. Enrollment requirements: each individual must be over the age of 18 by the time they begin classes, and must have proof of high school completion or its equivalent. International students must meet the requirement of qualification for an M-1 Student Visa, under the regulations of the U.S. Department of State. The winner must be able to provide confirmation of requirements within 30 days of the announcement as the winner, or the Scholarship will go to the runner-up. The Scholarship may be used at either the Los Angeles or New York campuses, however the student must start classes by December 31, 2011, and may be used towards tuition and supplies for any Course or Program at Make-Up Designory - up to $10,000 USD. There is no cash award or cash value for unused funds. The Powder Group nor Make-Up Designory are not responsible for entries not received. The decision of the panel is final. Only the winner will be notified by phone and email.